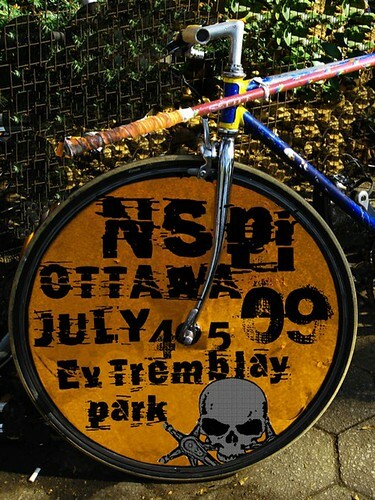 The 2009 NSPI is set for the weekend of the fourth of July. I share the common opinion that Ottawa / Mallets Of Mayhem are a polo club that host events with too numerous of qualities to mention them all here. The point is this, if you want to play with the best of the best (they are the 2008 N. American Bike Polo Champions) the North Side is your best chance. And if you are hosting a polo event of your own, stay a couple weekends away from this one. This entry was posted by Doug D on November 22, 2008 at 12:01 pm, and is filled under Bike Polo, Events-Past, Ontario, Past Polo Events. Follow any responses to this post through RSS 2.0. You can leave a response or trackback from your own site.